I’ve dropped some hints before, but here’s the official blog unveiling: the first two installments of my novel, First Fleet, are now available through Retrofit Publishing! Go to there! See it! They’re doing some pretty exciting stuff over there, and I’m humbled and delighted to be a part of it. What business have I, you ask, who have never ventured beyond the short story or occasional novella, in writing a novel? I place the blame solely on the shoulders of my editor, who liked one of my published stories enough to contract for a novel based on the premises I started exploring in that first bit. 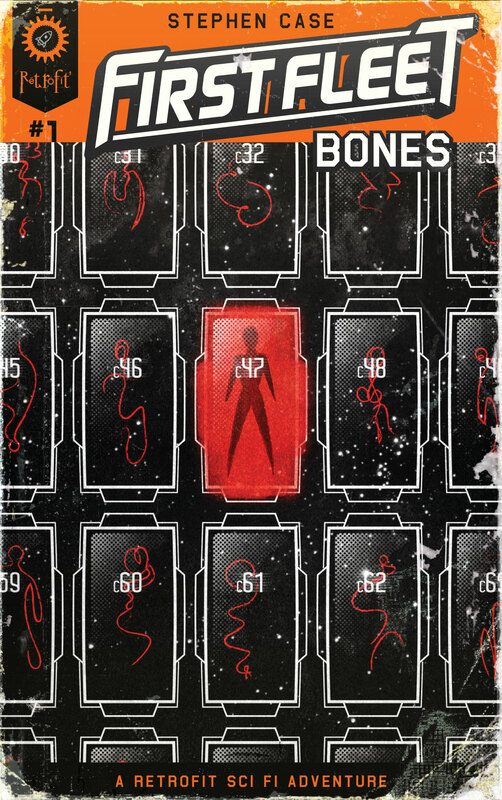 And that first bit, retitled Bones (the awesome cover of which you see above), appears now as the teaser/intro to the novel proper, setting the stage and presenting the initial mystery of the First Fleet. The tone is Lovecraftian horror in space. The plot involves technology used to regenerate soldiers in a war going suddenly very badly. You can (and should) download Bones. It’s free, and you can get it direct from the Retrofit website or from places like Amazon or Smashwords. Besides the process of writing the novel itself, I’ve been blown away by how Retrofit has marketed and promoted this. The editing and formatting has been top-notch, and seeing the covers they designed (capturing perfectly the “old timey” pulp feel of the paperback novels I grew up reading) has been among the coolest parts of the process. Take a look at the first two installments if you get a chance. 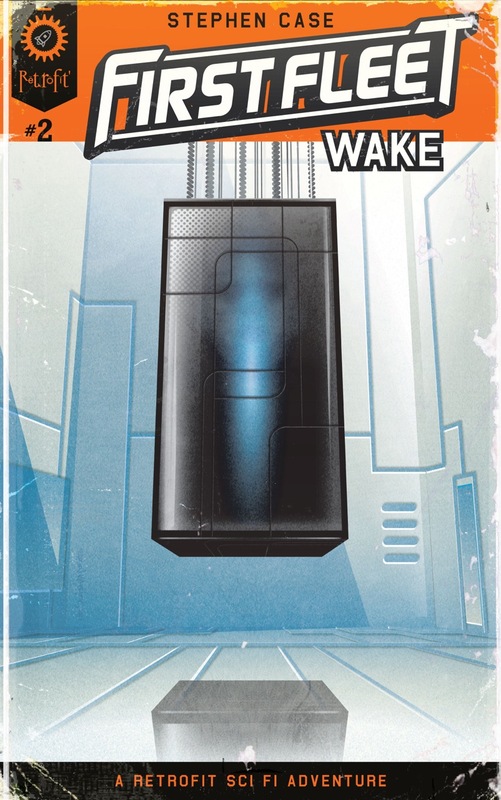 If you’re a reviewer and you want a review copy of Wake, please let me know. It’s pulp scifi– with all the pulpy goodness of aliens, catastrophe, military espionage, and space ships you’d expect. If you’ve read my other pieces, you know short-form fiction, veering toward fantasy realism, has been my forte so far. This was an exciting and rewarding (and challenging) departure. Descent, the second portion of the novel, is done and is due out in April. And I’m working on final edits to the third portion, tentatively titled Memory, as we speak. Or I will be, as soon as I post this. And maybe bathe the kids. This entry was posted in Stories and tagged Bones, fiction, First Fleet, horror, Lovecraft, military science fiction, novel, Retrofit Publishing, science fiction, scifi, short stories, space, Wake, writing on February 28, 2015 by boldsaintcroix. Congratulations, and also the story sounds really interesting. The cover art is also excellent. Thanks! I agree– the covers are great. I can’t wait to see what they come up with for Part 4. (The cover for “Descent” is fantastic as well.) If you get a chance to read them, please let me know what you think!